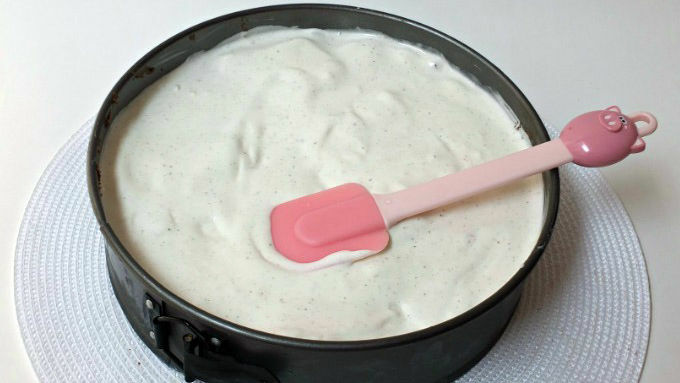 Scoop out half of softened ice cream and place in a springform pan. Smooth and freeze for 1 hour until firm. While the ice cream is in the freezer, make and bake the chocolate chip cookies according to package instructions. Cool completely. Mix 1 1/2 jars of hot fudge with 9 crumbled cookies. Reserve 1/2 jar of hot fudge for garnish. 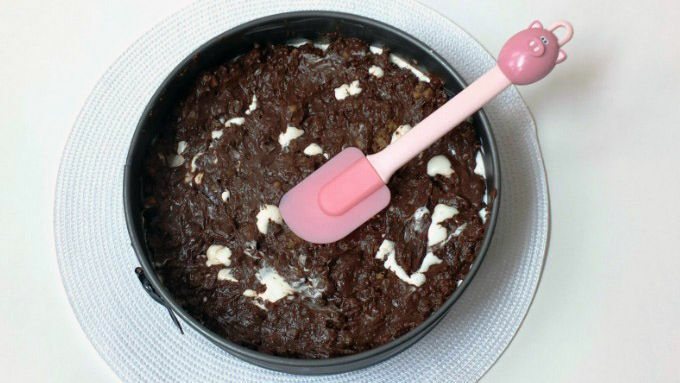 Remove pan from freezer and spread the fudge layer on top. Spread the remaining soft ice cream on top of the fudge layer. 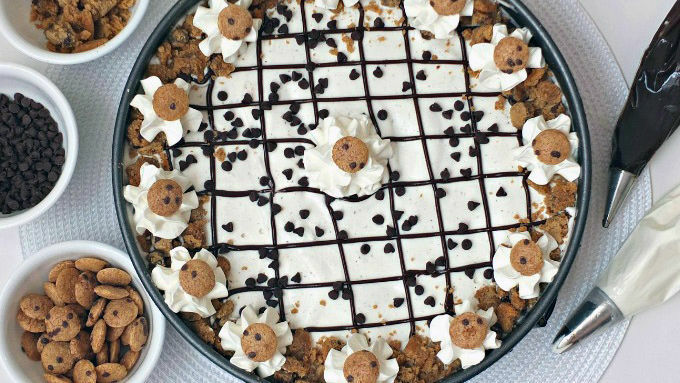 Decorate with frosting, cookie crumbles, and mini chocolate chips. Drizzle with reserved hot fudge. Freeze for 8 hours. I have to admit that I’m addicted to ice cream. I always (and I mean ALWAYS) have room for ice cream. Even after a huge meal at a restaurant I’ll order a dish of ice cream for dessert. I just can’t help myself! So just the mere mention of ice cream cake leaves me giddy. 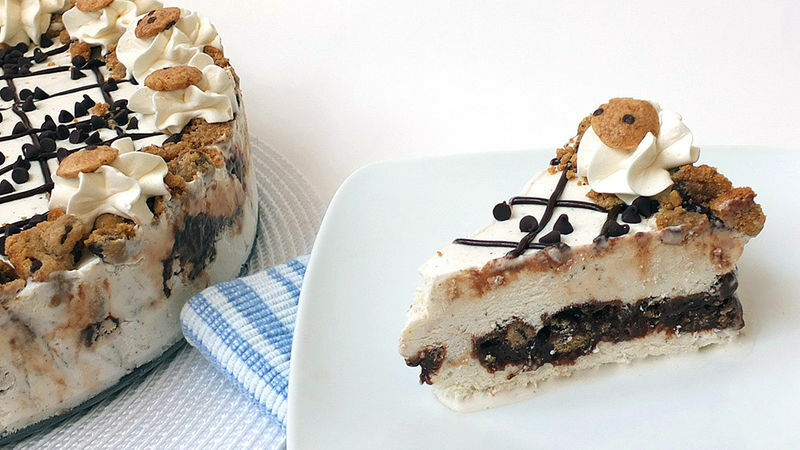 This ice cream cake doesn’t actually have any cake in it—instead, it has chocolate chip cookies mixed with hot fudge topping. And a touch of frosting. 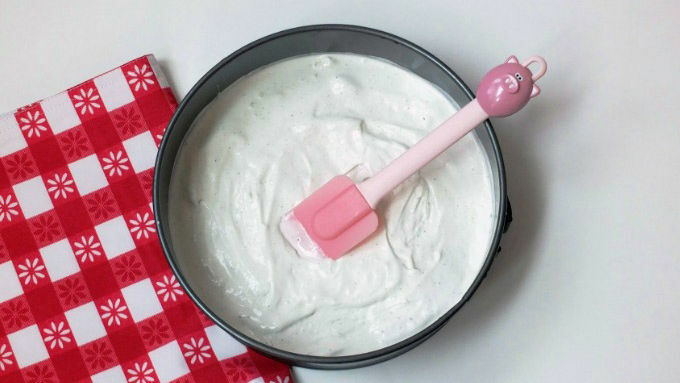 Because the only thing better than ice cream is frozen Betty Crocker™ Fluffy White Frosting. NOT. EVEN. KIDDING. I can’t wait any longer! Let’s make this incredible ice cream treat. 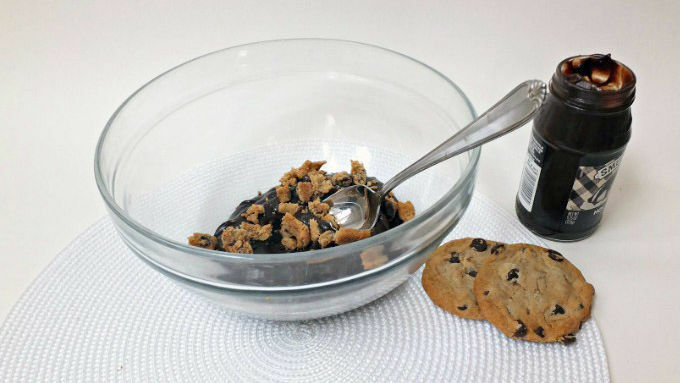 Gather up your ingredients: the ice cream, hot fudge, cookie ingredients, cereal and mini chips. Oh! And the frosting. Really, I cannot stress how important the frosting is. Make sure to freeze your ice cream cake for at least 8 hours. I know, 8 hours. Just munch on the leftover cookies, chocolate chips and cereal to pass the time. It’s worth the wait! When you’re ready to serve, run a knife around the edge of the springform pan and release. Serves 16 normal people (or 4 ice cream freaks like me).